Wallabies bolter Dave Dennis has turned down a move to the Melbourne Rebels in order to sign a two-year contract extension with the Waratahs. The versatile forward, who can play in the second and back-rows, was unwanted by any Super 14 franchises at the end of 2009 but was a surprise call-up to Australia's end-of-year tour after a strong Shute Shield. He was handed a chance by the Waratahs this season and will repay that faith rather than joining Danny Cipriani in Melbourne. "If possible, I always wanted to stay in Sydney," Dennis said. "It's where I've always lived, my family and my friends are here and I also want to be a part of what the squad and the staff here have developed. "I feel I'm moving forward as a player and although I've been here for quite a while it's the first time I've really been able to make a consistent contribution to the team. It wouldn't be ideal to turn my back on that now that I've made it to where I've always wanted to be." All Black flanker Sione Lauaki has pleaded guilty to common assault following an incident in a Hamilton bar in early March. The Chiefs skipper appeared at Hamilton District Court and will next be expected there on May 6. "As advised earlier, the NZRU and Chiefs has stated that an internal disciplinary process will take place once the court process has been completed. Sione is available for selection in the Chiefs team while we await the process," Chiefs CEO Gary Dawson said. Luke McAlister is preparing to make his Super 14 return after recovering from calf and nose injuries. The All Black centre is yet to feature for the Blues since re-joining them from Sale Sharks but will play for the development side this week before being considered for action off the bench. 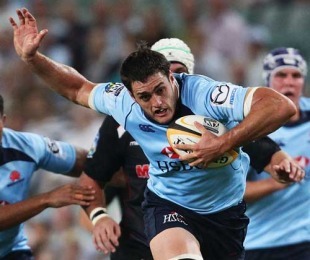 The Blues face the Waratahs in Syndey this weekend. "Like everyone else he's got to compete for his position," coach Pat Lam told stuff.co.nz. "What we learnt last year when All Blacks came back and people came back from injury is you've got to get the balance right. They aren't coming back on top of their game. So we've got to make sure we get them some game-time so they can clock the minutes."